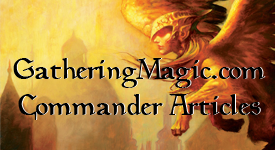 It was in my MTGColorPie post where I mentioned that I wanted to write not only more but especially about Commander. So we’re going to keep the momentum train going by writing about a long ongoing goal that I’ve never really accomplished: keeping track of the changes in my Commander decklists. A long time ago I believed that Commander decklist shouldn’t be put online as it gets rid of some of the creativity that you can do with the format. I believe that a great Commander deck is a part of its creator and not some optimized list that you find online. If you didn’t know, I’m not a huge fan of competitive Commander so don’t expect that kind of conversation here. I do believe in having a nice put together list with some combos and some powerful cards, after all I’m a Johnny/Spike. 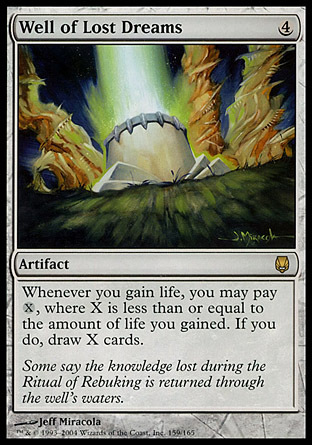 If you’re looking for another close philosophy of how I build my decks, check out Jason Alt’s column over on Gathering Magic with his 75% deck series. With a new year and a new set coming out, I thought it would be good to actually start keeping track of my changes to my decks. I think it’s a very curious idea to see a deck evolve as time passes and as new cards become released. I have decks which have received total makeovers (Rafiq of the Many) and others which have seen little change since its inception (Borborygmos Enraged). I’ve got a spreadsheet somewhat put together but nothing where I’m at a finished point of how I want it to look (If you have a spreadsheet that you use for your decklists, I’d love to take a look at it and see how I can incorporate some different aspects of what people use).